GNEdit is a VB6 application designed to create and edit geo-themes in GeoNavigator system. GNEdit allows loading of background map data and customization of the geo-theme by placing some custom information in a way of creating specialized objects on top of background geo-information. Specialized themes can be described as network of hotels in some city, logistic geo-information of some company, weather information etc. User can edit (create, move, delete) the geo-object as well as assign some attributes to the geo-object (description, address, Internet address etc). 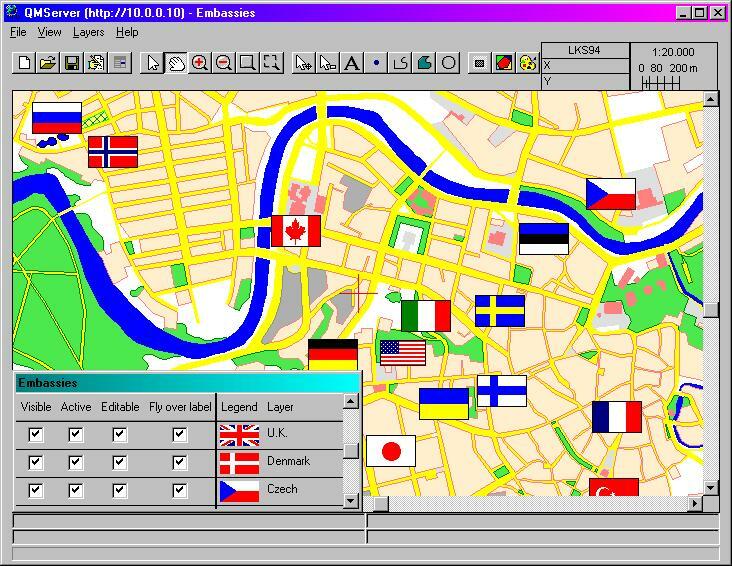 QuickMap ActiveX components (developed together with CSC-IS (Denmark)) are used to visualize geographic information. MapView, MapScale, MapCoordinate, MapLevel components are visible in the main window of the application and provide user interface to navigate and control geographic view / image.